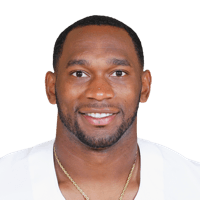 Published: Sept. 27, 2015 at 02:27 p.m.
Cowboys Joseph Randle rushes over the top for a 1-yard touchdown. Published: Sept. 27, 2015 at 01:23 p.m. Published: Sept. 27, 2015 at 01:12 p.m.
Cowboys Julius Randle scores on a 20-yard touchdown run. Published: Dec. 28, 2014 at 04:19 p.m.
Dallas Cowboys running back Joseph Randle runs right up the middle of the Redskins defense for a 63-yard touchdown run.